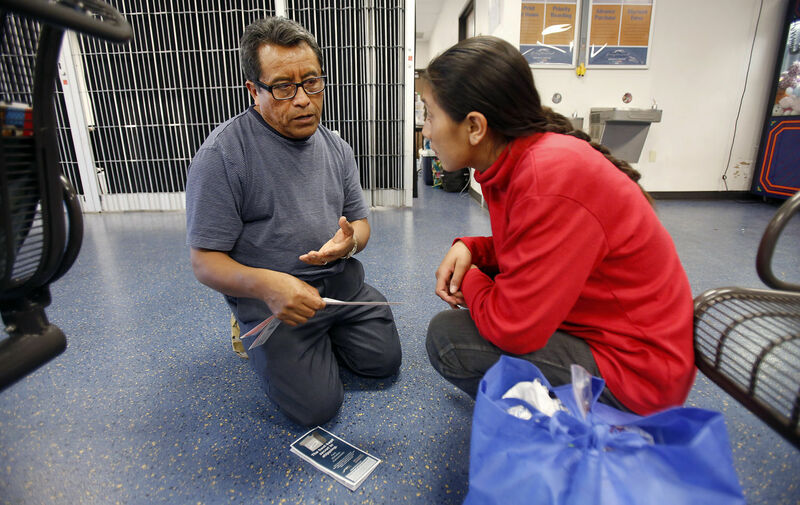 Sebastian Quinac, a spokesman for the Guatemalan community in Tucson, explains to Maria Gomez how to read her bus ticket. Photo by Mamta Popat/Arizona Daily Star archive. Indigenous border crossers continue to face language barriers despite requirements that information be provided in a language they understand, advocates say. Since 2000, federal agencies are required to assess and improve access to services for those with limited English proficiency. But 15 years later, the implementation of comprehensive language programs remains uneven, government officials and advocates have said. From the time they get caught at the border, there’s no assessment tool to determine a person’s primary language, interpretation services are inconsistent and neither agents or officers at the border are properly trained to determine how fluent they are, for instance, in Spanish, said Gentry, of Ama Consultants in Tucson. For his report, he reviewed current policies and practices and interviewed immigrant families, immigration attorneys, court interpreters, people who had contact with indigenous-language speaking immigrants in adult and family detention centers and in shelters for unaccompanied minors. Spanish is still the predominant language spoken by those captured at the border, but the share of Central Americans — in particular Guatemalans in the Tucson sector — is going up.